Open to the public from 26 May to 25 November 2018, the 16th International Architecture Exhibition, entitled “Freespace”, is curated by the Irish architects Yvonne Farrell and Shelley McNamara and organized by La Biennale di Venezia chaired by Paolo Baratta. 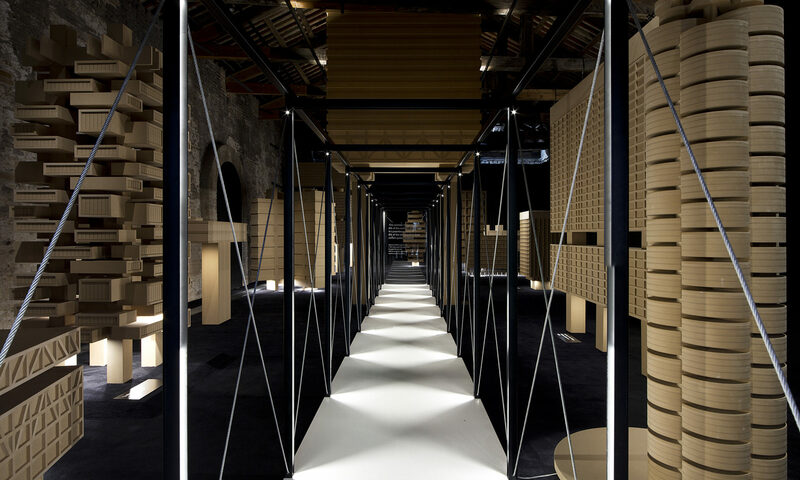 With its 8th contribution to the International Architecture Exhibition of La Biennale di Venezia, the Grand Duchy of Luxembourg moves from its former exhibition space at the Ca’ del Duca to Arsenale’s Sale d’Armi, the 20-year hospitality agreement underlining the country’s long-term commitment and the importance it attributes to culture, architecture and the built environment. in Architecture of the University of Luxembourg as its curating partner. The exhibition of the Luxembourg Pavilion, "The Architecture of the Common Ground", pursues the idea of what room for manoeuvre will open up when architecture, in defiance of market logic, refocuses on its creative power and social ambition so as to give the public as much access as possible to the limited land resources and thereby to allow communal use of them. The curators make best use of the move of the pavilion into the new exhibition hall in the Arsenale to boost the wealth of ideas from recent architectural history in a unique and surprising overview and to develop its own first experimentations together with research units from the young Luxembourg University. Against the alarming backdrop that in the Grand Duchy of Luxembourg today 92% of constructible land that is in private hands, “The Architecture of the Common Ground” puts forward a clear statement that does not mean to deliver universal answers but to show to what extent architects may conceptually react to the privatisation of land.